New technologies are growing by leaps and bounds, creating a huge revolution in web app development. Every business wants to own an online presence with dynamism to create a splash on the web. There are a wide range of modern programming language available in the market like PHP, Java, Python, Django and etc. And if we talk about the efficient programming structure, Python and Django are preferred by developers today. 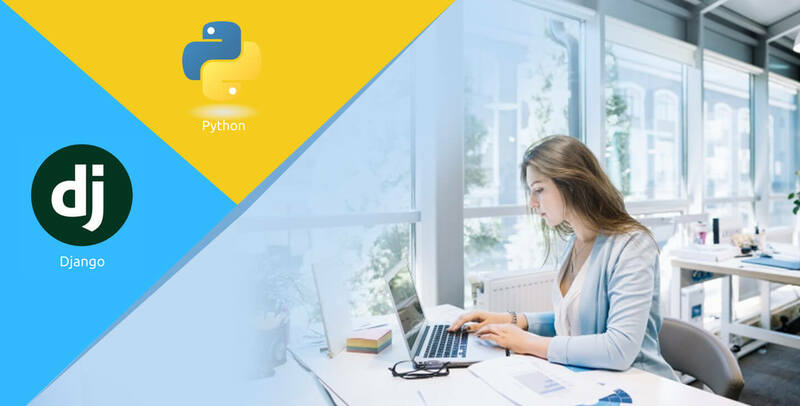 Python is one of the very popular languages among the developers, because of its powerful accent on readability and efficiency. The Python is simple to learn because its syntax follows the pseudo code. The developer can promptly do something wasting time and effort on a steep learning curve. Advantages of Doing Web Development with Python are many, what you need to do is, learn the language and start coding from there only. Python is an excellent choice for bootstrappers and startups. This is because it enables developers with quick deployment in lesser amount of code in comparison to Java, C, and PHP. As we know, for company's web development, the choice of language, ultimately stop as per the preference and expertise. Moreover, when you adhere to budget and requires a product rolled out right away, the choice of language is quite important. Further, this implies as the size of the project getting bigger, i.e the choice for right language is more important. Python is easily acceptable and allows maintainable features while web development in quick times, with a minimum of development code. The Internet of Things offers a limitless opportunities for Python programmers. With the advanced Python programming, developers have access to develop their own gadgets, and that can be connected with real world markets on a cost effective budget. Platforms like Raspberry Pi - a series very minute computers running Python, allow developers to create their own devices like cameras, phones, games and other using Python. And it attribute ease in development. ➤ Allows building more functions with some lines of code. ➤ Perfect for building prototypes. Python reduce the coding length in the development process. This means, it Java takes several lines of coding, using Python - the programing is done with just a few lines of code. In order to design an application’s prototypes, Python stimulates the process of prototyping, making you save a lot of time. Integration of Python with other programming languages makes development easier for developers. For instance, Jython is integrated with Java whereas CPython is a version of C. PyObjC contains the Objective-C tools. RubyPython is a version of Ruby. Hence, this flexibility allows running Python in different environments outwardly. This programming language has an extensive library, with supreme functionality that can be used to build large-scale applications. You can refine the capabilities of application with the unique features. And this makes app updation and upgradation easy. With Python, developers have access to numerous programming environments and frameworks. For instance, if you want to code large applications or complicated app, Django, and Flask frameworks better serve development requirements, allowing quick and easy coding. With the different environments, the development can be more productive and efficient using Python. Well, when it comes to web development with Django - it can concluded as the most popular web framework for Python. Referred as an open-source framework, this language is widely used by the developers world-wide for web development. Powered by an enthusiastic community of users, constantly contributing on resource update on the DjangoProject.com. For instance: The robust foundation of top-notch websites like The New York Times, Pinterest, Instagram and The Guardian, has been lead by Django. What makes it so? The answer is, Django’s ease of building templates, or the built-in template language available, decrease the development time are readily available for deployment. With Django understanding to model the domain and code classes get easier. Further, it offers ease of designing templates, allowing to develop applications that can be quickly deployed. Basically, it is beneficial in terms of speed and development. At Root Info Solutions - one of the top notch mobile and web development company, the development team has excellent Python-Django web Development capabilities to convert innovative ideas into capable applications. Don't miss the burgeoning trend “Python and Django”!